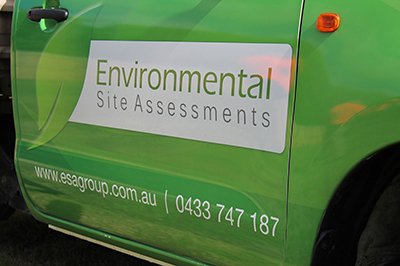 Environmental Site Assessments ('ESA') are environmental consultants servicing Melbourne, Werribee, Geelong and Ballarat. We have been providing a superior service to companies requiring environmental services since 2012. Clean Fill Certificates, Environmental Assessments, Environmental Audits, Soil and Groundwater Investigations to name a few. If it's an environmental service that you require, Environmental Site Assessments can help. We work hard to ensure that our clients are satisfied with our service so that we get their repeat business and referrals. 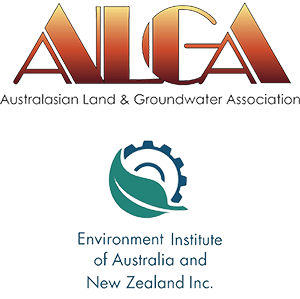 We are proud members of the Australasian Land and Groundwater Association ('ALGA') and the Environment Institute of Australia and New Zealand ('EIANZ'). 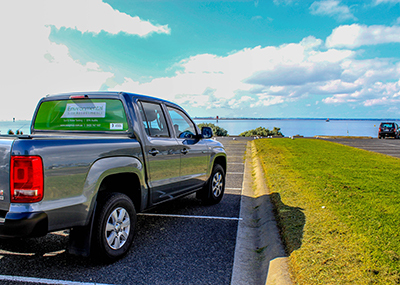 Environmental Site Assessments has current Professional Indemnity, Public Liability and Workcover insurances available upon request. 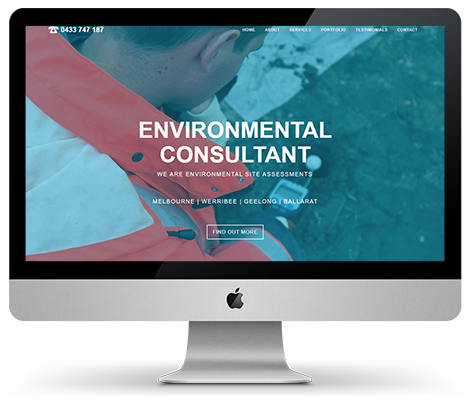 EPA Victoria recommends that people should not engage environmental consultants unless the consultants are a member of an professional association, such as ALGA and EIANZ, and have the correct insurances. We endeavour to provide same day quotes, and next business day service for Clean Fill Certificates. Try our express service and, assuming there is no contamination, get your certificate in one business day! The value of newly purchased properties can be significantly diminished by unforeseen environmental issues. Let us determine the potential for site contamination BEFORE you settle. Many councils now require an Environmental Assessment as a condition of their planning permits. 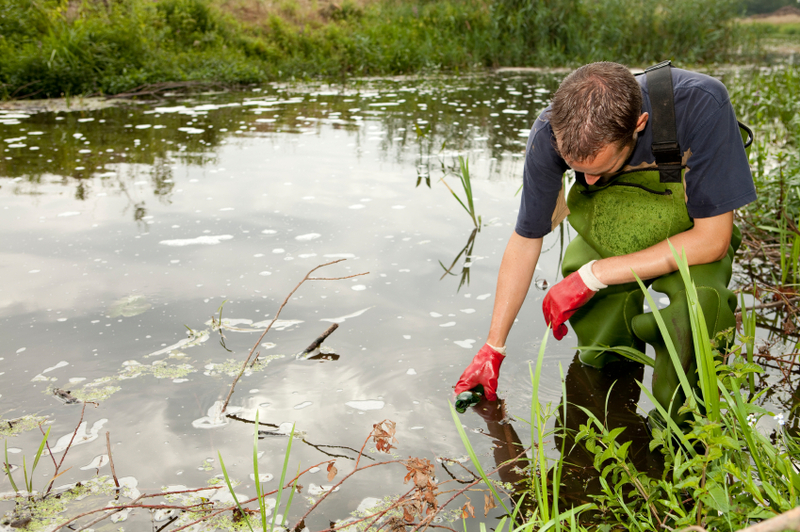 The purpose of the assessment is to determine whether an Environmental Audit is required. 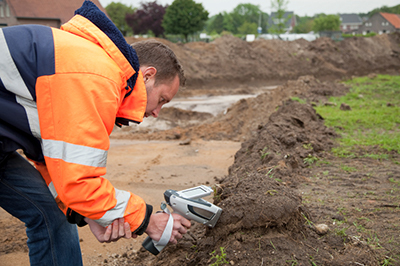 If your site requires an Environmental Audit we can guide you through the process. We will explain each stage in plain english and work tirelessly to achieve the best outcome for you. Earth Solutions Group engaged the services of ESA in January 2012. ESA have been an extremely effective partner in assisting our organisation in updating and maintaining our management systems to ensure we keep abreast of regulatory requirements. We have seen fit to provide ESA with a significant level of authority to implement required changes in matters of environmental compliance in the day to day management of our projects, policies and procedures. We are constantly reaping the benefits of ESA’s services. ESA was engaged by Eastern Plant Hire to assist with the implementation of policy and procedures for handling excavated material in accordance with the new EPA guidelines. Over the last few months ESA have proven to be an invaluable collaborative partner, rather than a service provider. Their professional and timely advice has ensured a seamless integration between the office and the on site process. I would highly recommend ESA to any contractor who deals with the disposal or receipt of soil. At Lantrak we need to be agile enough to respond to our customers’ needs promptly so quick turnaround times are a must for us, ESA have been able to provide us with expert advice and services that are clear and concise. For Site Assessments, soil testing and analysis or environmental advice in general I wouldn’t look any further. Copyright © Environmental Site Assessments P/L 2018. Get your Clean Fill Certificate in one business day! ESA staff undertook a soil sampling program on site in line with EPA IWRG621 and 702. Samples were collected in a grid based pattern across the site and submitted for analysis. A Clean Fill Certificate was issued to the client within 1 business day (express turnaround). 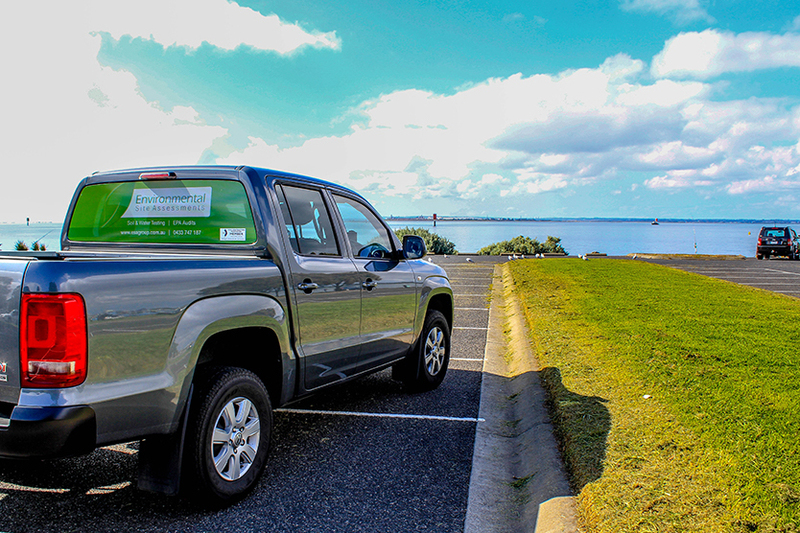 As a condition of the City of Greater Geelong planning permit the client was required to obtain an environmental assessment for their site. Preparation of a report that provided clear advice on whether the environmental condition of the land was suitable for the proposed use/s and whether an environmental audit of all, or part, of the land was recommended having regard to the Potentially Contaminated Land General Practice Note June 2005, DSE. OUTCOME: The site was issued with a planning permit and no environmental audit was required. A former service station that was developed for high density residential purposes. The collection and collation of site history information from Sands and McDougall, MMBW, EPA Victoria, Worksafe and individuals involved in the historical operations. Organising and monitoring the installation of four groundwater wells on site. The design and execution of a groundwater sampling program from the four groundwater wells on site. Preparation of data tables comparing analytical results with Table 1C Groundwater Investigation Levels (GIL’s) and Table 1A(1) Health Investigation Levels (HIL's) from the National Environment Protection (Assessment of Site Contamination) Measure 1999 (Amended), State Environment Protection Policy (Groundwater’s of Victoria) 1997, Standards Australia (2009) Piling Design and Installation - AS2159-2009, NHMRC (2008) Guidelines for Managing Risks in Recreational Water, Australian and New Zealand Guidelines for Fresh and Marine Water Quality Volume 1 (October 2000) and Australian Drinking Water Guidelines 2011 (ADWG 2011) guidelines. Development of a Conceptual Site Model ('CSM') and Groundwater Contour Maps. Interpretation of data and the provision of advice for further investigation. Preparation of a Groundwater Sampling and Analysis Quality Plan ('SAQP'). The design and execution of a groundwater sampling program from the four groundwater wells. Preparation of data tables comparing analytical results with Table 1C Groundwater Investigation Levels (GIL’s) and Table 1A(1) Health Investigation Levels (HIL's) from the National Environment Protection (Assessment of Site Contamination) Measure 1999 (Amended), State Environment Protection Policy (Groundwater’s of Victoria) 1997, Standards Australia (2009) Piling Design and Installation -AS2159-2009, NHMRC (2008) Guidelines for Managing Risks in Recreational Water, Australian and New Zealand Guidelines for Fresh and Marine Water Quality Volume 1 (October 2000) and Australian Drinking Water Guidelines 2011 (ADWG 2011) guidelines. Updating the Conceptual Site Model ('CSM') and Groundwater Contour Maps. Interpretation of data and provision of a report for Auditor approval. OUTCOME: The site was issued with a Certificate of Environmental Audit. Clean Fill Certificate in one business day! Audit of a former service station and car yard. 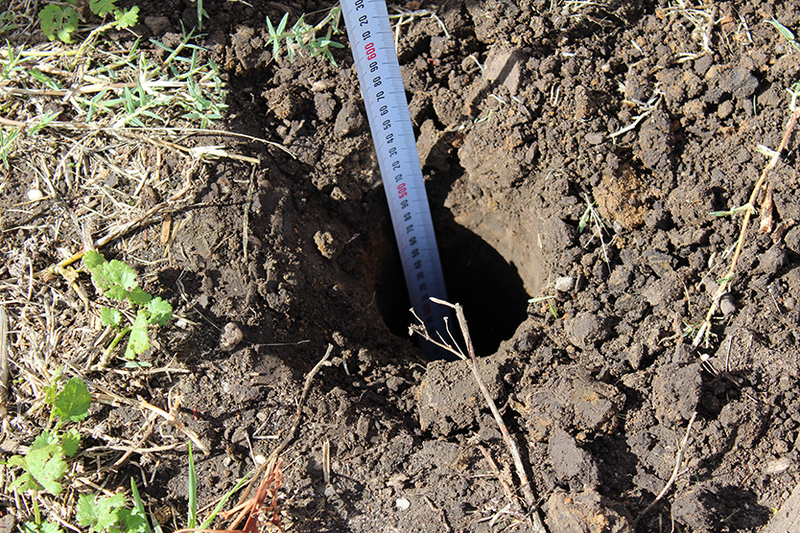 The design and execution of a soil and groundwater sampling program. A former commercial site redeveloped for an aged care facility. Arcare Chadstone enjoys a privileged position in Melbourne’s inner south-east, surrounded by parkland and minutes from Chadstone Shopping Centre. Its boutique size and beautiful amenities provide confirm and luxury for residents and their friends and family. The collection and collation of site history information from Sands and McDougall, MMBW, City of Stonnington, EPA Victoria and Worksafe. 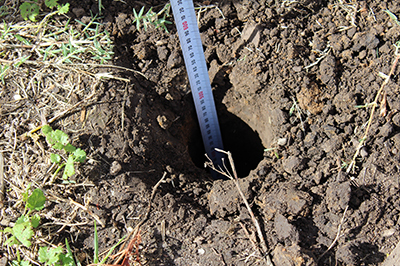 The design and execution of a soil sampling program from nine sampling points across the site. Preparation of data tables comparing analytical results with Table 1A(1) Health Investigation Levels (HIL’s) from the National Environment Protection (Assessment of Site Contamination) Measure 1999 (Amended) and Standards Australia (2009) Piling Design and Installation – AS2159-2009 guidelines. Development of a Conceptual Site Model (‘CSM’) and Groundwater Contour Maps based on historical sample data. 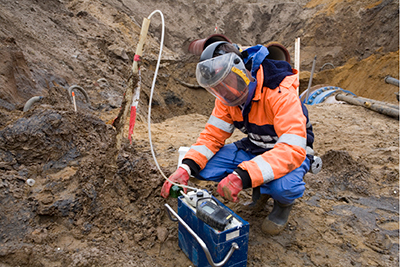 Preparation of Soil and Groundwater Sampling and Analysis Quality Plans (‘SAQP’). 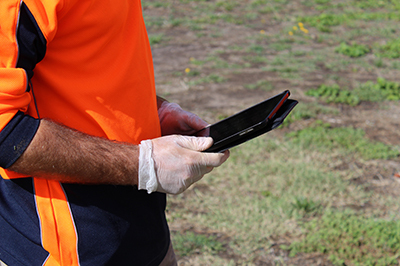 The design and execution of a soil sampling program from 18 sampling points across the site. Organising and monitoring the installation of one additional groundwater well on site. 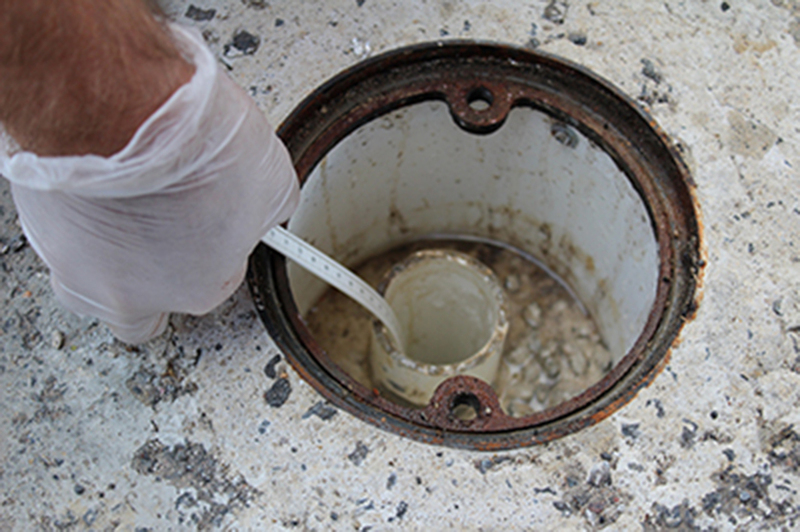 The design and execution of a groundwater sampling program from three groundwater wells. Preparation of data tables comparing analytical results with Table 1C Groundwater Investigation Levels (GIL’s) and Table 1A(1) Health Investigation Levels (HIL’s) from the National Environment Protection (Assessment of Site Contamination) Measure 1999 (Amended), State Environment Protection Policy (Groundwater’s of Victoria) 1997, Standards Australia (2009) Piling Design and Installation – AS2159-2009, NHMRC (2008) Guidelines for Managing Risks in Recreational Water, Australian and New Zealand Guidelines for Fresh and Marine Water Quality Volume 1 (October 2000) and Australian Drinking Water Guidelines 2011 (ADWG 2011) guidelines. Updating the Conceptual Site Model (‘CSM’) and Groundwater Contour Maps. Interpretation of data and the provision of advice for remediation and further investigation.